I really loved Wayne. Other than life itself, he has been my greatest teacher. I’m sure he’s in a good place now and feeling the love from his multitude of fans. So, go ahead and watch and enjoy The Shift here. The link is valid until 9/7/15. Rest in peace Wayne. We’ll miss you! 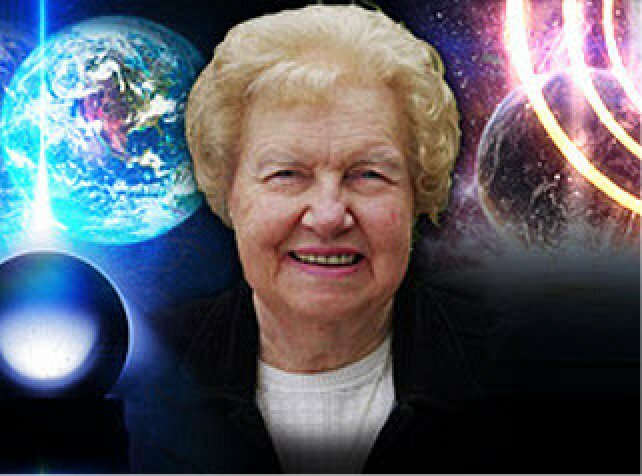 We are moving to an amazing era of New Earth or Fifth Dimensional Earth which is full of extreme heavenly bliss. However it is up to us to allow the flow of energy from the creator to manifest literally anything into our experience. Since our creator made ourselves in his image, we have a free will to create anything that we want in our reality. Most of the humanity this time is in power and control from government and corporations as we don’t know our true nature as a creator and creating realities that involves lot of stress and struggle. As lot of us are waking up, we are enlightening others about their lost powers. Understand that everything you see and feel is made of energy and energy can be transformed into different matter. Everything around us has some consciousness. Reason you are here on Earth is to experience and expand your consciousness as everything possible has already been done. Your past, future and present is happening right NOW. There’s no concept of time in spiritual world. That’s what fifth dimensions and higher are all about. By setting goals you are trapping yourself in the future which you haven’t manifested yet and struggle to achieve those goals. The problem here is that most of us set goals which are very small and feel happy about manifesting them. If you are setting goals like pay bills, go to grocery, then probably you should know how to order from the universe. However it is always good if you maintain a journal writing down how you feel each day and what made you feel like that. We live in parallel universes and create our own universe by experiencing things from those parallel universes. By having a desire and feeling good about having it you are shifting your universe. More faith you have in yourself, it’d be much easier to manifest or experience anything. Law of Attraction is a Universal Law which says like attracts like.That’s why people say think big because when you think big and have faith, universe will match the exact vibration. More you allow, more you’ll manifest. Manifestations in 5D Earth are instant and there’s no concept of Time. By doing things you love, you are allowing Universe to shift itself and give you more and more experience of things and events that you would love. Everything is consciousness. The air you breathe or the mountains that you see are made by some spiritual beings. All of us on planet Earth are given free will which is not so with most of the planets, however there’s lot of judgement and differences that we create in our mind and don’t exercise our Free Will properly living in the world full of discrimination. 5D Earth is all about enlightened society of people where there is no discrimination and your manifestations are instant. Also know that as humans we are eternal beings and don’t die. Understanding spirituality can be very profound unless you practice and have full faith in Creator. With the help of my angel guides and the wisdom gained over last few years I have written number of articles and writing lot many to help you awaken to your true nature. 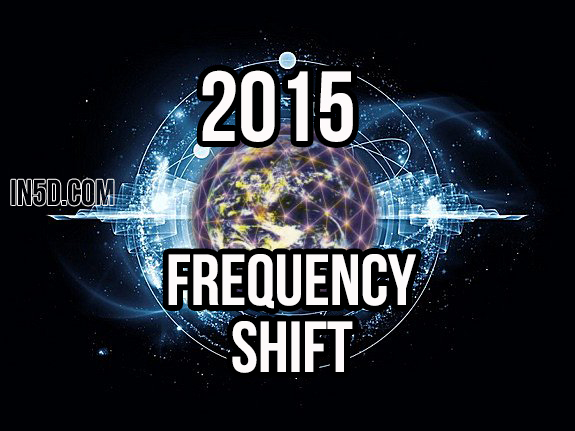 The convergence we are experiencing is everything to be excited about. Do not doubt your inner voice. We stand in full conviction and need not be moved by the barkings of technofascism or police state tactics. We must operate in calm, trusting knowing that what has been established in our hearts is the true nature of humanity and our planet and that these machinations from some sort of imaginary hell are simply that – false, fabricated weapons of fear-based intimidation designed to destabilize our heart felt footing in the true reality of the world as it should, could, will be, and already is. Yes, the title of the article is correct. This is quite an interesting New Moon formation. The New Moon falls on 29 degrees Aquarius, however the formation then trickles over into Pisces, really setting the theme for this lunar cycle. Since the start of 2015 we have been experiencing an incredibly heightened sense of energy flowing through our collective consciousness. The energetic vibration on the planet at this time is reaching a new peak; our journey along the river has reached the ocean. This dual New Moon formation between Aquarius and Pisces reflects a period of vast polarity and change. During this cycle, so much energy and forward momentum will be unleashed that unless you are ready to ride the wave, you will likely find yourself lost in chaos, searching for dry land. This month’s new moon message comes with two very clear paths. Are you in total alignment, or out of alignment? Happy Birthday Pisces! May the road rise up to meet you. May the wind be always at your back. May the sun shine warm upon your face. Before we look at the planetary alignments for this New Moon, it will be beneficial to first understand the nature of the Pisces/Neptune archetype. From our human perceptive Neptune/Pisces reflects the totality of our collective unconscious. You know that feeling you have on Friday when everyone is collectively feeling the weekend experience? It is a shared experience by millions around the globe. Unity, oneness. The Pisces/Neptune archetype is rooted in the process of creation itself. It represents the total experience of birthing something, and its culmination from source. The return to the ocean, the return to earth. The completion of a cycle. So, at a soul level, Neptune/Pisces is linked strongly with this is the gradual journey of aligning the soul with its spiritual truth. When we are faced with circumstances that are out of our control, we learn the ultimate lesson of surrender. Through that experience we re-align our subjective egos to the knowledge of a higher power; the source of creation. I am sure many of you have been it situations in your lives where experience has been out of your control, and the words you say to yourself include things like “it’s now in god’s hands” or “we have to just pray it all works out”. This language, conditioned into our society’s vocabulary, recognizes something far more powerful than the human condition but at the same time, induces a sense of helplessness and separation from that power. A deep painful truth here is that this sense of being overwhelmed can lead to states in which we detach and create illusions that serve and protect our inner reality by helping us “escape” from the reality of our experience. Numb the pain. The purpose of the Neptune energy really is to support our state of spiritual integration; to bring awareness of the spiritual nature along with the physical, and unify the unconscious and conscious experience. At present, Neptune is actually moving through its natural sign of Pisces – one reason why we are all resonating so much with this spiritual awakening. This ongoing square is playing a major role as it reflects the deep psychological issues and collective pain we are collectively healing, created by belief systems that promote idealised external gods, cause mass alienation and teach of separation from source. This is an important cycle for us all. We are being asked here to see beyond the veils of deception and be very clear about what the nature of reality is really about. With that, the deceptions that authority figures propagate are becoming more and more apparent. Personally I believe that this cycle brings with it incredible rewards as we collectively strengthen our knowledge of our true essence and thereby our connection to source. This is a time where you have to find your own personal connection to the higher self and begin integrating that inspiration into your life that leads to the fulfilment of direct knowledge and experience. This cycle is also deeply effecting the way we see reality and is slowly bringing about huge change. As these outer planets (and the energetic cycles they reflect) move relatively slowly, we have to be patient. 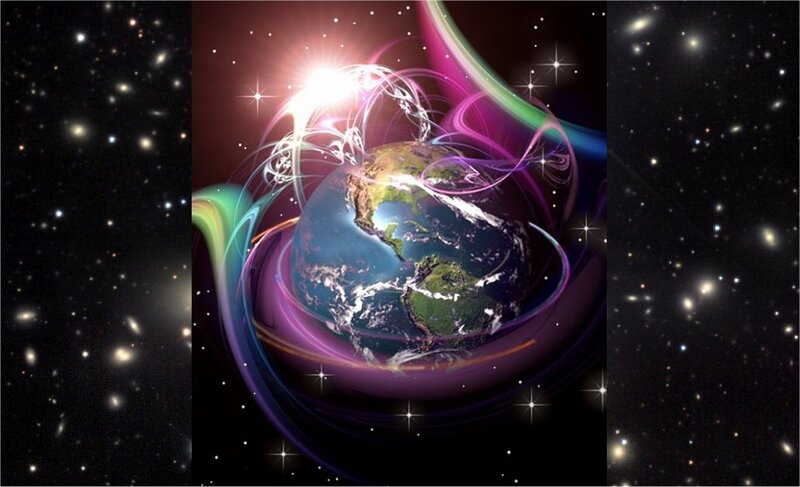 This alignment reflects to us the process of deconstruction and subsequent healing we are experiencing on earth right now, as alignment weaves through the collective consciousness, bringing to life the beautiful tapestry of source energy that is unfolding for us. This alignment is also a direct reflections of our karmic story. As this alignment reflects in its connections to the Modal axis of the Moon, many souls on Earth at the moment are a part of two realities. This energetic push toward transformation really makes our individual reality go one of two ways — we are either experiencing the unfolding of madness in the world as we break away from the past and discover a new paradigm, or alternatively, we are experiencing the unrest and destruction of a collapsing civilization. We can either surrender to the process of deconstruction and healing, or fight it. Either way the underlying truth is being experienced; an ending of what has been. On the deepest level this alignment is highlighting and giving us the opportunity to choose our perspective and experience of the way an entire era of Earth’s history culminates. We can either experience it as victims of an impending “end of the world” scenario and “pray to god” it will work out, or we can feel the revival of our personal sovereignty and actively walk the path of personal empowerment. This is a chance to cleanse the wounds of the past and leave behind 6,000 years of spiritual disempowerment. It is time to reclaim your right to be alive, to follow your dreams, and shine your inner light to the world. The world is waiting on your brilliance. Will you be a part of the change? What are you going to do to make tomorrow better, today? Only you know what to do. Both Mars (free will) and Venus (relationship to self and others) have been trudging through the swampy vibration that is Pisces energy. Mars has been moving slightly ahead of Venus and has been setting off all sorts of issues relating to hypersensitivity, feelings of absolute chaos, disorder and lack of direction, while Venus, tagging along in Mars’ wake, has been triggering off the feeling of brain fog, creating a spacey void were everything merges into one. Although it has caused quite a stir for us, this particular movement of Mars and Venus through Pisces is actually very important for the direction humanity is heading into now. As April draws near, a new dawn relative to our collective consciousness will begin. A fresh and clear perspective will be available for all of us. We will experience the culmination of this phase of Mars and Venus in April, and when that comes about, we will be ready and revived waiting to take on life and follow our sense of destiny with the excitement and enthusiasm akin to a child waiting to open its presents on Christmas day. The winged messenger Mercury moved into direct motion on the 11th of February. This marked the end of a significant retrograde cycle for Mercury. In synchronicity with Mars and Venus, as mentioned above, Mercury Retrograde brought up old karmic wounds that needed our very detailed attention. Now that Mercury is in direct motion again, he will revisit those scenarios with us again and give us the opportunity to react to them in a way that is self-empowering. Pay close attention to this opportunity as much healing is available for us here. As the Sun and Moon connect to form a beautiful New Moon, the Universe and all its beauty will reflect to you one of the most amazing and inspirational months. This is the point in our collective evolution where the crest of the wave is about to start returning back to the ocean. The sheer force and power that will be flowing through us will be immense. Another way to describe the feeling is like the moment before a roller coaster sends you down the steep drop. The feelings of raw excitement, anticipation and chaos. The shear rush of adrenaline when the ride finally drops. Pure ecstasy. Although, along with this adventurous journey comes the need for courage. That rush of our new reality can make us doubtful, if we allow it. Find the inner Lion and roar with great strength from this place of ecstasy and inspiration. During the last couple of weeks we experienced Mars and Venus move through Pisces as mentioned above. This alignment brought up very powerful and deep aspects of our collective psyche that reflect spiritual disempowerment; feeling overpowered and victimised by life. This is an incredibly important part of our awakening that needs to be healed – awareness being the first step in this healing process. In our programmed “Matrix” culture we are constantly shown our disempowerment; constantly reminded of the absence of love; constantly shown that only certain people experience prosperity. We are lead along paths of deception that make us believe that this madness is inherent to our very humanity (original sin), and that we will only be saved from the madness by some external saviour. The last statement is the most disempowering of them all. In contrast, the Pisces archetype reminds us that we are our own gods, each and every one of us. That we each belong to a collective consciousness that unifies everything. That the source of creation is the only thing, therefore everything that is a part of it is source itself, experiencing itself through you. 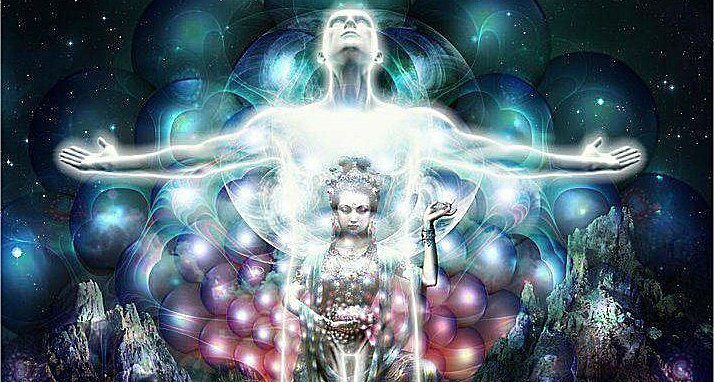 Step back allow you vision to transcend the 3D and observe yourself as the multidimensional being that you are. Embrace your essence and allow a sense of sovereignty to guide your personal re-empowerment. Free yourself from the shackles of personal self-doubt and the effects of fear based propaganda. Decondition yourself and find the perfect harmony available with the Source. Lastly, as the Sun moves through Pisces it will bring about the completion and ending of an entire cycle. That which began in April last year is closing. The zodiac has finished its year’s passage and is ready to dissolve the fabric of reality and begin preparing for a new chapter in our collective human experience. One that, I know, many of you are truly excited to begin. Many can feel something big is on the horizon, and this month will reflect back for us the process of finding the ultimate meaning. The metamorphosis of our individual and collective consciousness is here. Our consciousness is ready to move from the chrysalis of its previous existence to emerge as a mesmerising butterfly ready to bless the world with its enchanting essence. All the events this month will continue to unfold in one of two ways as the fabric of reality dissolves and dissipates. We can either be aligned with the process and merge with it, or we can hold on to the dissolving reality and feel the crisis and fear creep in. How we experience this polarity is up to us. What we have here is an opportunity to begin in April, as the new cycle in Aries begins, with a fresh sense of vitality and new direction. I have left behind so many layers of who I thought I was, and what I thought I knew. I have removed so much to find so much – my source. I have become a world citizen, unified yet unique, connected to the Earth and the Universe. I have learned to find flow and to allow life to guide me… to just be. But now… I am feeling restless. Like there must be something more than this. Like something big is about to happen. I feel that it is just around the corner… urging me on. I know I must first let go… I am ready… to lose myself… to dive into the abyss.